Jessica Carvalho Morris, Director of Miami Law's International Graduate Law Programs, returned recently from visits to Mexico City and Guadalajara, the country's second-largest city, as part of an initiative to solidify alliances with law firms, law schools and scholarship partners around the world. For her first meeting, Morris spoke with Chief Justice Juan Silva Meza of the Supreme Court of Mexico. They discussed the country's transition from civil law written procedures to oral arguments as well as the importance of arbitration in the legal field. Morris also met with the business journalist and commentator Alberto Aguilar, who wrote about her visit in his business column. Morris, whose program has trained lawyers for the global marketplace since the late 1950s, was invited to give a lecture to law students and faculty at Anáhuac University School of Law in Mexico City on La Internacionalización Como Requisito de la Educación Legal en el Siglo XXI (The Internationalization of Legal Education in the 21st Century). "Today, we can no longer speak of law limited by territorial boundaries," said Morris. "It was a pleasure to meet so many students interested in an international practice and who recognize the need to expand their horizons." In order to meet and reconnect with Miami Law LL.M. 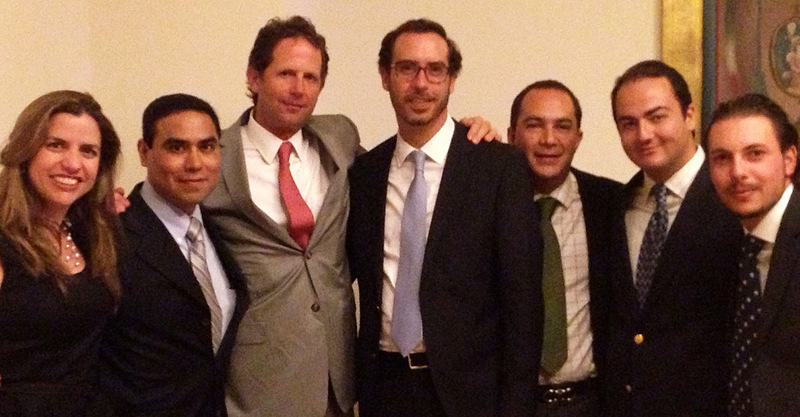 graduates in Mexico, as well as to establish a relationship with prospective students, IGLP hosted a reunion of alumni at the Club de Industriales, an event sponsored by the prestigious arbitration firmGonzalez Calvillo Abogados. Andrés Melgarejo, a corporate and securities lawyer, former Greenberg Traurig associate and incoming International Law LL.M. student, said that meeting Morris at the alumni reunion allowed him to have a clearer picture of Miami Law and what the International LL.M. program has to offer. "Director Morris's trip to Mexico helped me be more secure about the decision I made to study an LL.M. at Miami Law," Melgarejo said. "The diversity offered is one of its greatest strengths and I look forward to sharing a class with people from all over the world." Also at the reunion, Fernando Ballesteros, LL.M. '11, a senior associate in Greenberg Traurig's Mexico City office, said he credits the LL.M. program for expanding his network, landing him a position with a Fortune 300 corporation – Motorola Solutions, Inc. – and eventually with Greenberg Traurig. "I've had the opportunity to study three master's degrees in different countries, and by far the LL.M. program has been the most demanding, but also the most rewarding," Ballesteros said. "Obtaining an LL.M. from the University of Miami was one of the best experiences in my life." Francisco González de Cossio, one of the most prominent arbitrators in Latin America, was recruited by Morris to teach at the 2014 Fundamentals of International Arbitration, a recently expanded short course following this year's successful inaugural class. Gonzalez de Cossio said he was impressed with the program and is optimistic about working with Morris in the future. "The University of Miami's visit to Mexico, through the able efforts of Jessica Morris, was a timely sowing of the university's excellent program in the mind and fertile soil of the Mexican and Latin American dispute resolution market, which is increasingly active and sophisticated," he said. 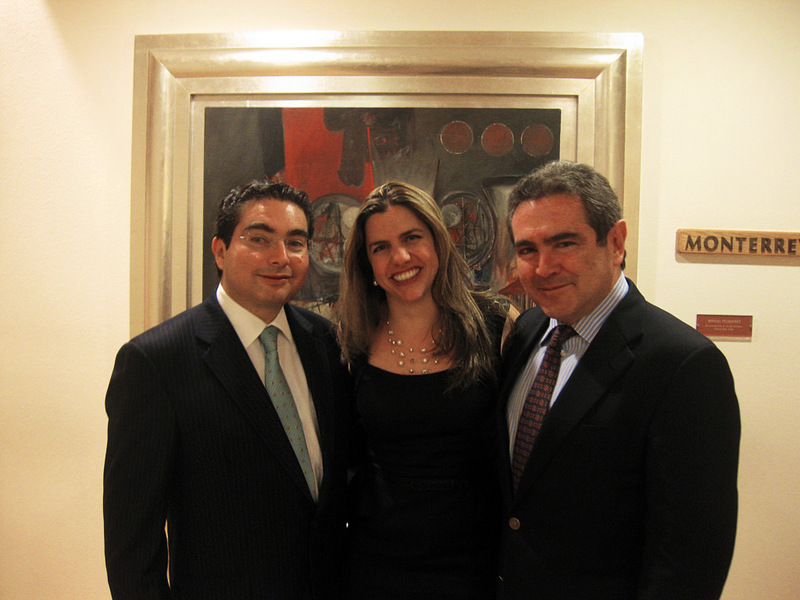 Morris's trip provided the opportunity to expand Miami Law's alliances with prestigious law schools, including Universidad Panamericana, Universidad Anáhuac, Escuela Libre de Derecho and the Western Institute of Technology and Higher Education (ITESO), as well as top law firms, including Greenberg Traurig, Gonzalez Calvillo Abogados, DLA Piper, Jones Day, Von Wobesser y Sierra, Goodrich Riquelme y Asociados, Gomez Arnaiz Abogados, and Robles, Tostado, Corona y Sánchez Gil. Morris also met with potential partners in furthering the legal education of other talented Mexican lawyers and law students. In that vein, she spoke with representatives of the Brockmann Foundation, which provides scholarships for postgraduate education abroad, and the Arbitration Center of Mexico, a private institution specialized in the administration of arbitral proceedings. "This was a first of what we hope to be many trips to Mexico," said Morris. "Our objective is to bring UM closer to Latin America, and in particular, to Mexico. With so many connections, Mexico and Miami are obvious partners." Morris said she was grateful to current LL.M. students Santiago Aguilar, Rita Chertorivski and Luis Sotelo for their help in making the trip a success. She looks forward to connecting with other alumni and traveling abroad to recruit lawyers and law students during a planned tour to Latin America and Europe.